The packaging materials can be used again. Use of green fillers is done as per its seasonal availability. 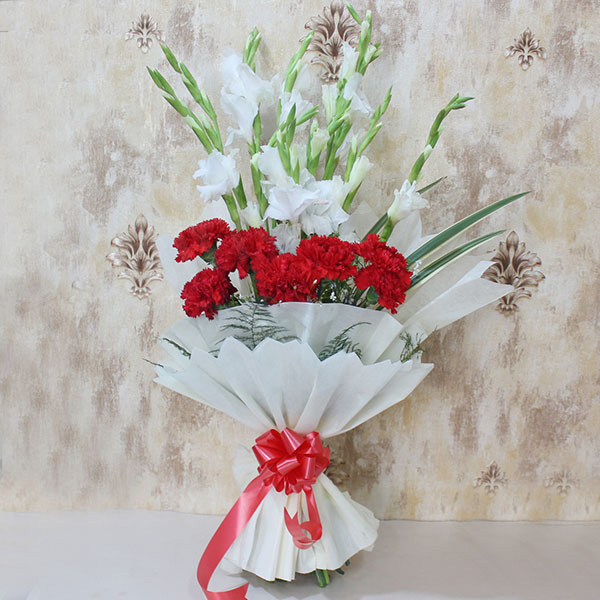 Gladiolus is also known as Sword Lily. The stem of the Glads were used to cover wounds and remove splinters. 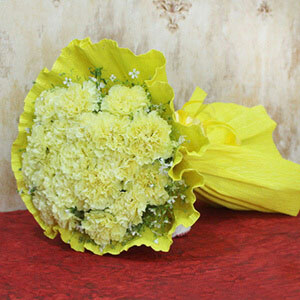 Blue and Black shades of Carnations are not natural and these are artificially colored. 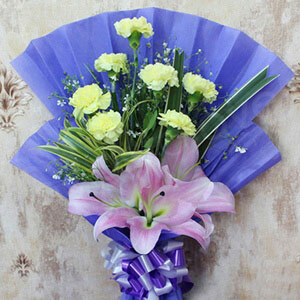 This flower also denotes the symbol of Mother’s love. 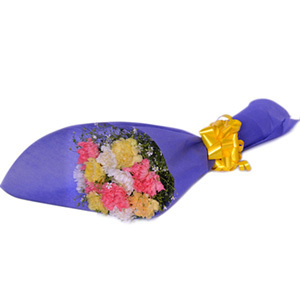 Confess hearty feelings or congratulate loved ones with this lovely flower bouquet which is been designed beautifully and quite artistically to give an artistic charm to it. 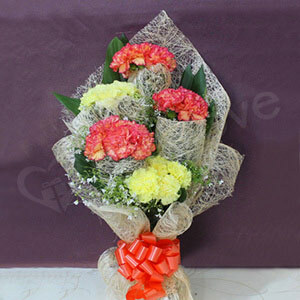 This lovely, bright and colorful flower bunch is simply the best gift choice to make. Buy it right here! !